TS100 Solder Box #3DPrinting #3DThursday « Adafruit Industries – Makers, hackers, artists, designers and engineers! NatroN shared this project on Thingiverse! A nice little Box for all your Solder stuff. Easy to carry. 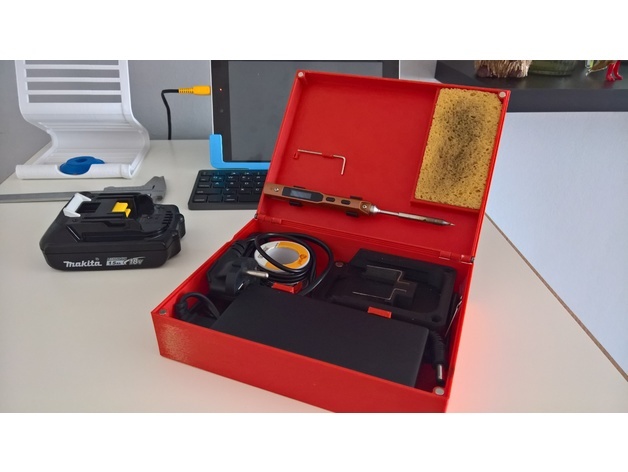 I put a 19V Notebook cahrger and a Makita 19V Battery Mount in the Box to use the solder Iron either on Battery or with the charger.